I have been handling serious injury and death cases for more than a decade. 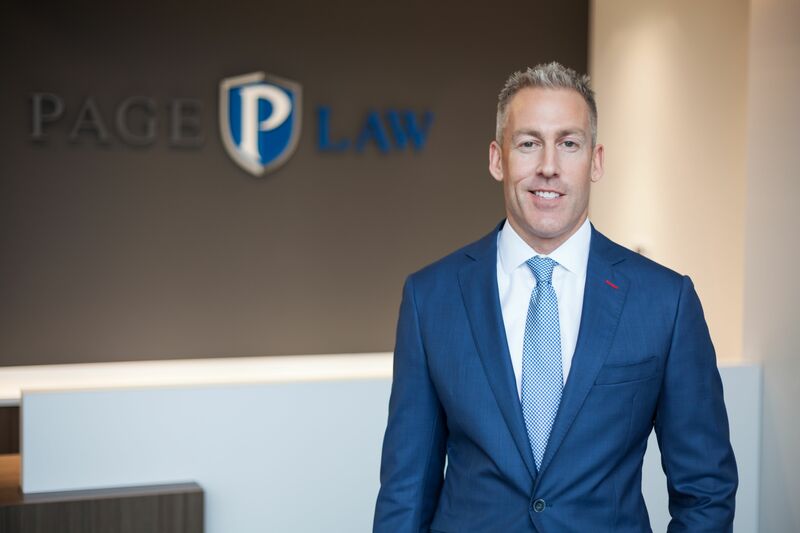 I focus exclusively on representing clients injured in tractor trailer accidents, charter bus accidents, school bus accidents, car accidents, motorcycle accidents, and other traumatic events that cause serious injury or death. I have recovered well over $20 million for injury victims. I use my specialized knowledge to help injury victims maximize their recoveries. I use a tested and proven strategy in each personal injury case. I represent real people with real problems. Once I agree to accept your case, I make sure you get all the personal time and attention you need. You deserve it – and I make sure you get it. I don’t believe in assembly-line justice, where injury cases get treated like objects on a factory conveyor belt. I am passionate about what I do and I surround myself with a team just as passionate. We all love helping injury victims and we are good at using our strategy to maximize recoveries. During a significant injury case, you are not just a client – you become a lifelong friend. My past results speak volumes about my passion and dedication to helping injury victims. One of the biggest compliments I get is when past clients refer their family and friends. Equally complimentary, is other lawyers and doctors call me for representation when they are seriously injured. These are insiders that know the business. As a personal injury lawyer, I help you solve some of life’s most difficult problems. Is this task challenging? Of course. Does it involve a lot of responsibility? Yes. Do I still love helping people after more than a decade? More than ever! Meeting someone at their worst and helping them get back to their best is extremely rewarding. Lives get turned upside down after an accident. Injury victims typically can’t work and don’t know the steps necessary to protect themselves and their family. If a family’s breadwinner gets injured, the situation becomes exponentially worse. I assist injury victims with all aspects of their life following an accident. Clients who don’t know where to turn for treatment often ask for recommendations. I make sure they get placed with reputable doctors near them who can treat their injuries. My job is to relieve stress caused by the insurance companies. After an injury, insurance companies typically call right away. I strongly suggest you don’t talk to them until you have a conversation with an experienced injury lawyer. You may not need a lawyer, but the consultation to find out is free. An injury lawyer will act as a buffer between you and everyone trying to contact you. If you retain a lawyer, all of the calls from the insurance companies stop. The instant I tell an insurance company I represent you, the insurance company must cease and desist all contact. When I help injured clients get proper medical care and deal with all the insurance companies, they can focus on getting better. Stress caused by not having access to proper medical treatment or not having a strategy to deal with insurance companies can prolong your recovery period. I do everything in my power to help you return to the life you had before your injury. Some clients get better quicker than others. Some will never return to where they were before the injury and may never return to work. If you can’t get back to the life you enjoyed before your injury, I help determine what future care is required. This amount is calculated and included as a damage in your injury case. According to the law, anyone who causes your injuries is responsible for all past, current, and future needs. This accountability includes medical care, lost wages, and any pain and suffering, including what you expect to experience in the future. My client was seriously injured in a tractor trailer crash when the tractor rear ended him while riding his motorcycle. I recovered $6.5 million for injuries he suffered. Immediately after this crash, the insurance company sent a letter “denying” liability (a common game the insurance companies play). I was forced to sue and fight for my client. Without a lawyer, my client would most likely have received nothing because the insurance company denied the claim. In this situation, I helped my client fight through the medical recovery process by making sure he had medical appointments scheduled and received proper medical treatment. I dealt with all insurance companies involved and I tried the case to a jury for two weeks. The night before closing arguments began, I settled the case for $6.5 million. Not every injury results in a $6.5 million settlement. But this case is an example of how insurance companies play games and how it is sometimes necessary to fight. I don’t give up. Period. In this case, one of the country’s biggest insurance companies denied my client’s claim – and we beat them. That’s a tremendous accomplishment. I have the resources and manpower to fight the biggest insurance companies in the world, and win. I don’t say this to brag, but to prove I am a fighter. My claims are backed up with substantial results and cases similar to this. I am proud of this case because I knew the insurance company wrongly “denied” my client’s claim. It was a true David vs. Goliath scenario. As with all my clients, we fought to the bitter end. Besides the great recovery, I gained a true friend. When I do something, I do it 110%. Unfortunately, many lawyers – both plaintiff and defense – believe a personal injury lawyer should not help clients after an injury. Some believe clients should find their own doctors and make their own appointments. Not every injury victim has the luxury of doing this after an accident. That’s why I’m here to help. I’ve handled serious injury cases for more than a decade. Every client during that time received medical treatment. Therefore, I know which doctors have great reputations. As a professional, my obligation is to help clients get the treatment they need so they can recover quickly. Insurance defense lawyers often try proving I do something wrong by recommending doctors. I disagree with their opinion. Why should I expect injured clients to have the same knowledge about local doctors as I do? Of course, I don’t – which is why I help my clients with every detail from start to finish. I wouldn’t let family members bounce around from doctor to doctor until they found the right one. And my clients are no different – they are like family. It’s foolish for anyone to think there’s something wrong with injury lawyers recommending a doctor, with a good reputation, who practices near the client’s home. I only bring up the topic of doctor recommendations because insurance companies often use it as a defense during a case. The argument makes no sense. But, then again, neither does denying a claim and paying it later. I am married to Tonya Page, my law partner. We have been blessed with two amazing kids. Speed Aston Page is our son and Ari Page is our daughter. We have a black lab named VooDoo. When I am not working, I now spend most of my time at Toys R’ Us, Incredible Pizza, or Chuck E. Cheese. In the rare instance when my kids are busy, I ride ATVs, dirt bikes, street bikes, and anything else with a motor. I always offer free consultations for personal injury cases. You may not need a lawyer to handle your injury case, but you should at least get a free consultation to determine if you do. Also, if I agree to handle your case, I handle it on a contingent basis. This means you don’t pay a fee unless I win your case. Call (314) 322-8515 at any time (24 hours a day/7 days a week) to schedule your free consultation. You can also send me an email at john@pagelaw.com.